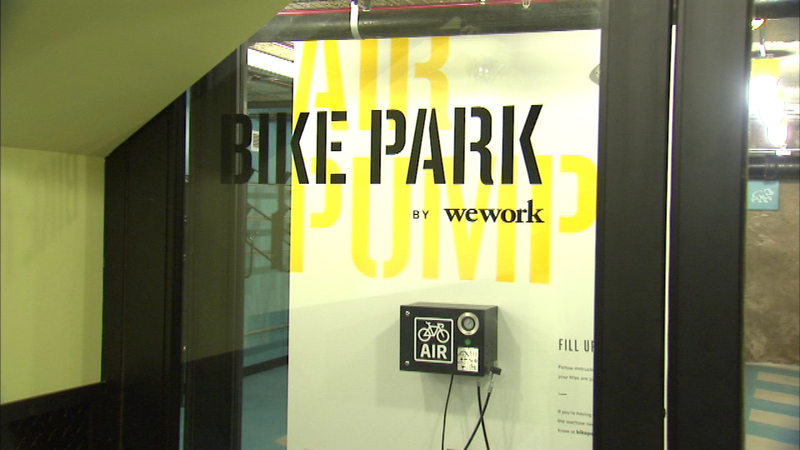 CHICAGO (WLS) -- People who ride their bikes to Chicago's Fulton Market District have a new indoor place to park their wheels. The company We-Work opened a bike park in the 200-block of North Green. Mayor Rahm Emanuel toured the facility Monday. Riders can store or get their bikes serviced there. The space also provides lockers and showers.